This is a shield-shaped Piel Bros. Lager Beer porcelain sign. 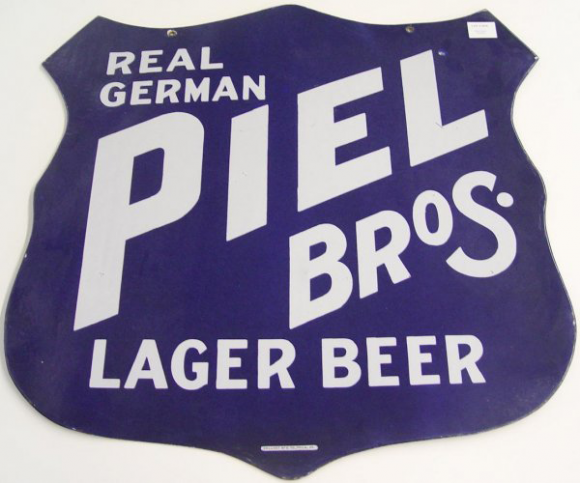 This particular Piel Bros. Lager Beer sign is blue with white text. It reads, “Real German Piel Bros. Lager Beer”.